Investors who have domestic equity holdings are likely "doubling up" on their real estate exposure and should consider alternative diversification options, according to one global fund manager. Quay Global Investors principal and portfolio manager Chris Bedingfield said it is quite difficult for Australian investors to get access to assets that are not perfectly correlated with domestic equities. 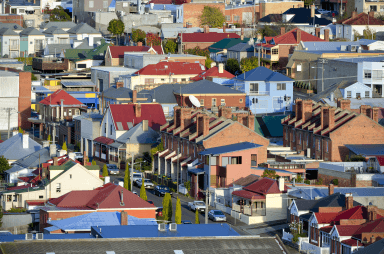 Given that most Australian stock market investors are already in the local property market via their mortgage, they are probably "doubling up" on their Australian real estate exposure, Mr Bedingfield said. However, he added he was not trying to "talk anyone out of real estate", which he believes to be a "terrific asset class". "It may feel counter-intuitive, but if you actually had a piece of Australian real estate in a global real estate fund, you’ve probably got more diversification than if you’ve just got Australian equities.